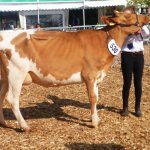 22 Guernseys from 6 Exhibitors were forward to be judged by Rita Dunn who proved a very assured and able Judge, with her decisions quick and reasons accurate in what in particular the heifer classes were very close placings. 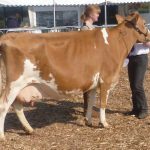 The Heifer Calf Class had 5 forward and only served to re-ignite the debate within the Adams family as to which of their two smart Trewey heifers is the best Andante Jackie 52 gaining revenge for her defeat at North Somerset by Princes Poppy 26. 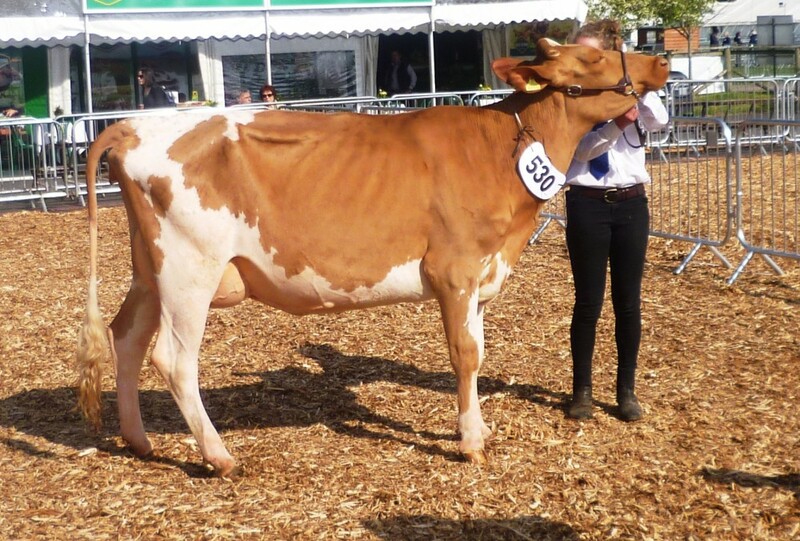 Oliver Carpenter’s Fairfield Ezra Storm stood third and she is also a super dairy calf. 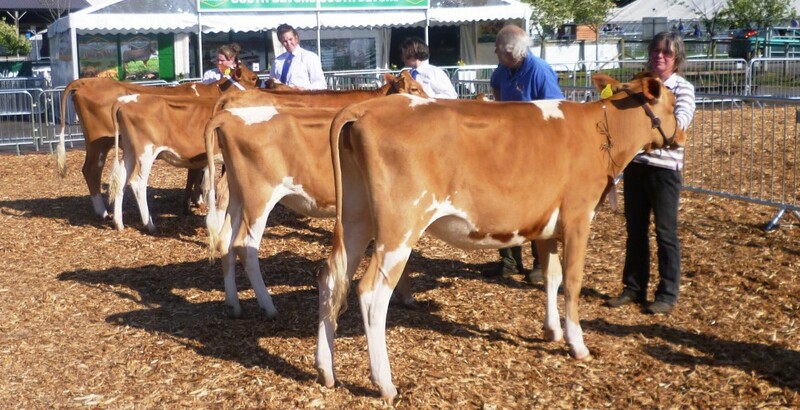 5 Maiden heifers were also a strong class and Greensfield Lady Jay stood top here from WebberyEnid 10 an Ezekield daughter from Jon White in second and Webbery Violet 3 again from Jon White in third. 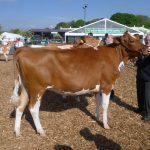 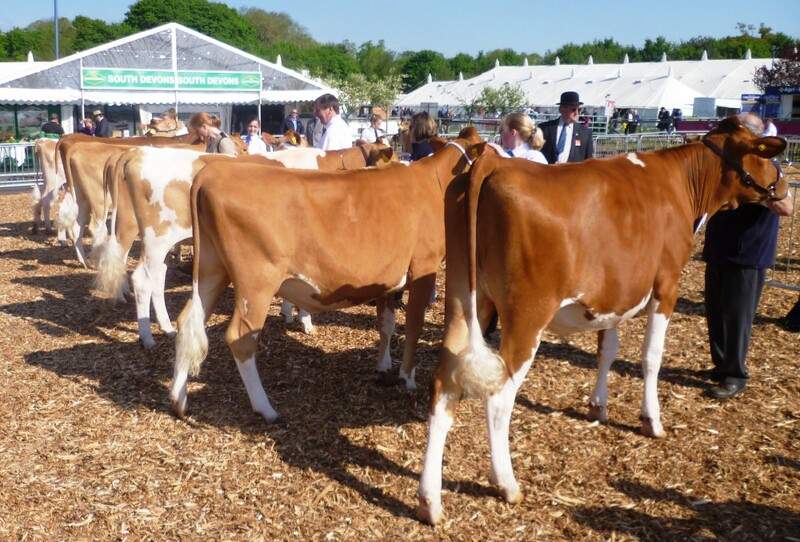 The 7 in calf heifers provided the classs of the day and the Addington Fund’s Hamps Valley Annabelle 5 by Kenvin Sallys Ghengis was the winner here and the timing was perfect as the Prize Draw for either Annabelle or a £1000 was launched at the show. 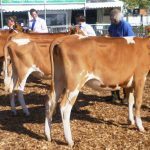 The Addington Fund have never proved more important than at present with the combination of poor prices, rising feed costs and the last 12 months weather have combined to cause more hardship than ever to UK farmers. 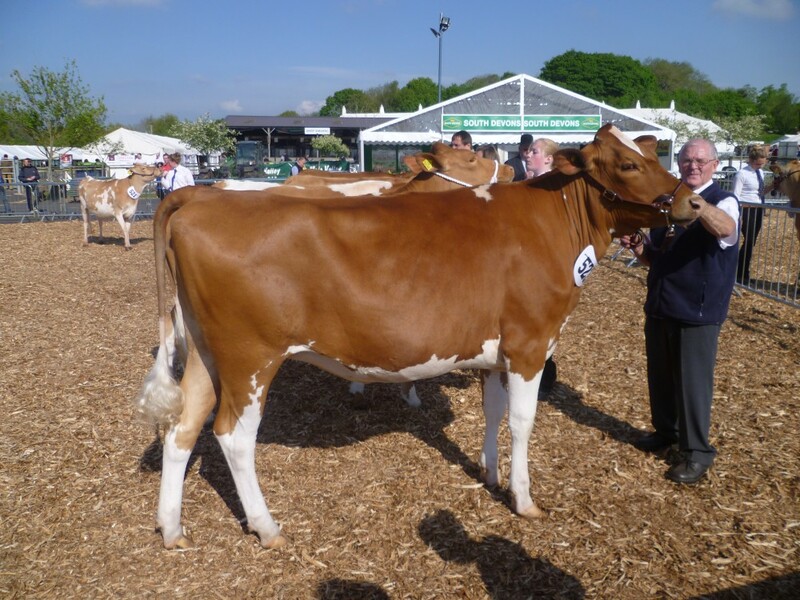 The second placed heifer Bowhill Primrose from John Marks is by Delta and shows particularly good udder promise, with Wiltown Claudia the Mint daughter of the 2010 Addington heifer from Brian and Sheila Adams in third. 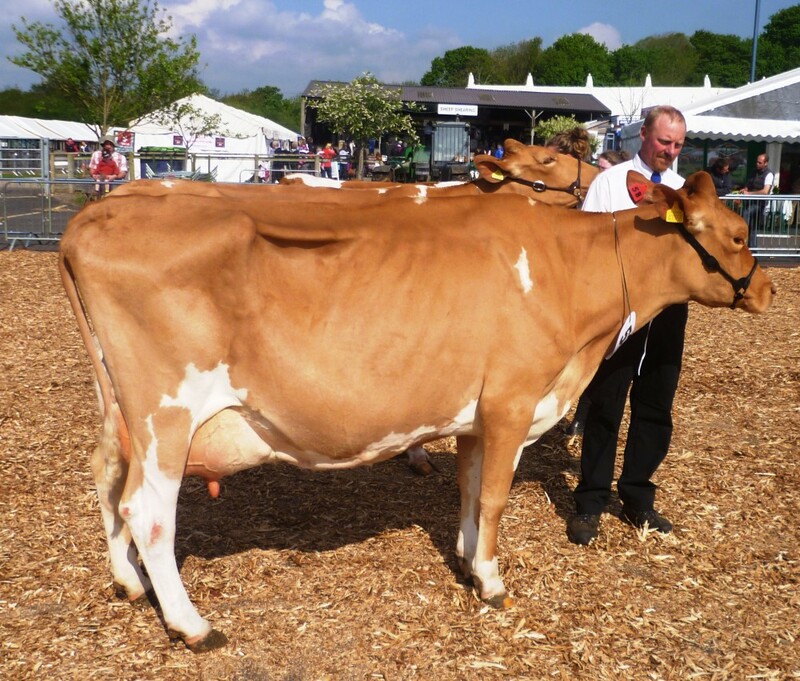 Greensfield Lamar Phyllis was the only In calf cow forward but is a really good uddered cow and provided a second class winner for the Greenslade family. 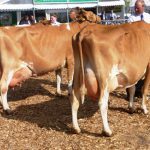 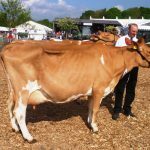 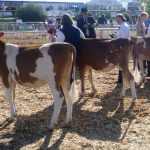 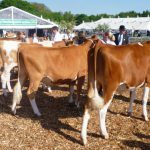 The three cows in milk provided a first County Show win for the Carpenter family from Denbury Devon and Trevider Hercules Linnette has a VG twin sister and out of the 9000 kg VG 87 Trevider Aaron Linnette who is at Tredinney and the 7E Ex94 Grandam Treloweth Linnette has until very recently been the “Queen” at Rosewood. 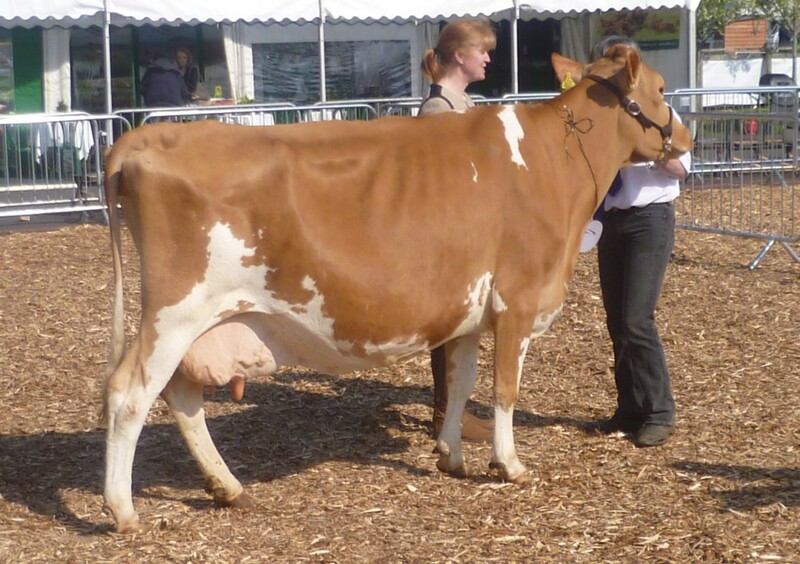 In second place and very freshly calved was Greensfield Icy Phyllis the 2012 Devon County Champion and in third place was Jon White’s Kingwell HP Rum’s Savoye who carries the fashionable “polled” gene and it would seem that the frequency of the polled gene in UK Guernseys is much higher than in other Guernsey populations. 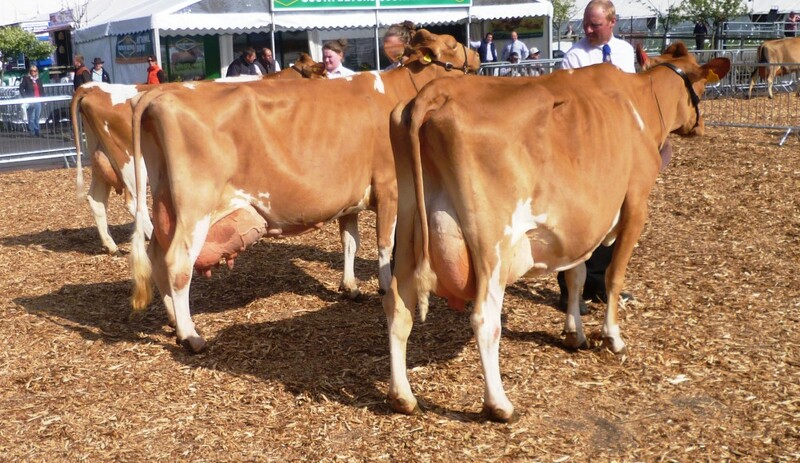 The Greenslades had the Group and Pair winners before Rita made her Championship choices.